Manchester United’s no.7 shirt may well and truly be a problematic affair. Ever since the departure of Cristiano Ronaldo to Real Madrid, the club has tried its luck several times, mostly big money signings either brimming with potential, or else proven names that simply didn’t succeed at the Theatre of Dreams. Amidst the former camp was the name of Memphis Depay. The Dutchman had a troubled spell at Old Trafford, which lasted only for a year and a half, as he was unable to make the impact he was initially hyped up for. 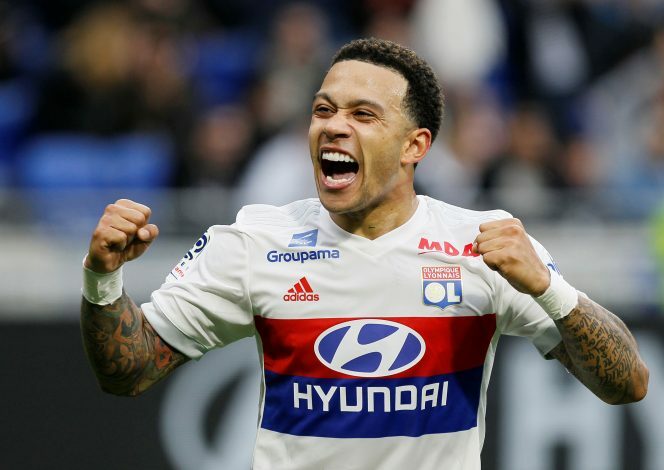 Since being shipped off to Lyon, Depay has transformed into an electric forward, prompting the fans to beg the club to activate the buy-back clause in his contract and bring him back to Manchester. However, the youngster’s heart may lie elsewhere. The 24-year-old then went on to outline the traits he seeks in a potential destination: “I want to go to a city that suits me and a club that suits me, to a team that really wants to play football. It is interesting to note how Depay doesn’t consider United to be a top club anymore. If this attitude persists amongst other top names, perhaps the Mancunian outfit will rethink their transfer philosophy in the future. Right now, Ole Gunnar Solskjaer’s treatment of the likes of Lingard, Rashford, and Pogba has avoided the conversation of specialists from their midfield and above. However, if an opportunity arises in the near future, it will be intriguing to see how the club will react.